Students are College Ready if they meet either the academic indicators OR standardized testing benchmarks listed below. Click here to download a summary of the indicators. 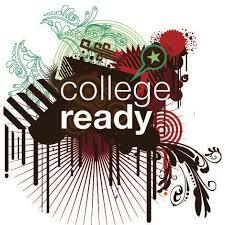 High School Classes Colleges Look For. ​If you’re in high school and you’re thinking about college — and you should be — you should know that the courses you take now matter. That’s because college admission officers want to see a solid foundation of learning that you can build on in college. To create that foundation, take at least five solid academic classes every semester. Start with the basics, and then move on to challenging yourself in advanced courses. The courses listed below should prepare you for success in college and beyond. Take at least five solid academic classes every semester. An extra half-year in the above or other areas Foreign Languages Solid foreign language study shows that you're willing to stretch beyond the basics. Many colleges require at least two years of study in the same foreign language, and some prefer more. Research indicates that students who participate in the arts often do better in school and on standardized tests. The arts help you recognize patterns, learn to notice differences and similarities, and exercise your mind in unique ways. Many colleges require or recommend one or two semesters in the arts. Good choices include studio art, dance, music and drama. Search to look up a specific college's academic requirements to be sure you’re on track to attend the college of your choice. You can also meet with a school counselor or teacher if you have questions about choosing classes and staying on track for college.